Sweetpea-Lifestyle: Masculine & Feminine Lines. Who is excited it's Friday??? I know I am. So what is considered "Masculine" in the world of fashion?? For me, that would be pants, blazers, loafers - strong items - like a crisp button up tucked in with a bold belt. 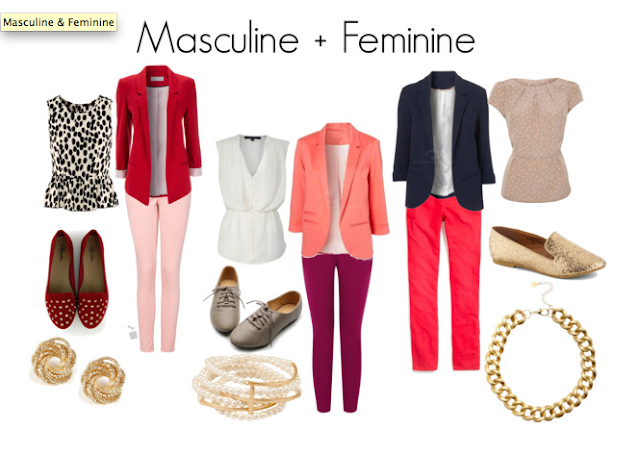 I love blazers on women and well fitted pants and loafers! All the things I described... I wouldn't talk about them if I didn't love them... Duh. 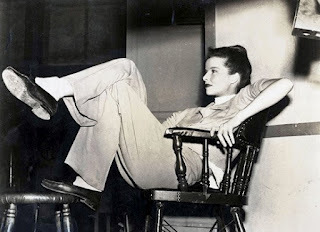 Think Katharine Hepburn.... Thank you for wearing pants and all the accoutrement's that go along! So how can you wear these items this Fall??? Well, for started you can wear your SUMMER tops under a nicely fitted blazer with a pair of skinny jeans. Add either leather riding boots or the preferred loafers! Using your summer clothing just a little longer is nice - somedays in Fall it's chilly in the mornings, then come 2pm it's burning hot. This helps you be prepared for the day, while still styling the hottest trends of the season! One other way you can make your wardrobe more "exciting" is using fun colors in your Masculine ways. Bright colored belts, shoes, scarves, blazers, even pants! You could even pair a bright navy blazer with a bold yellow skinny belt. This helps keeps your figure feminine while using the structure of the jacket to enhance your shape. Do you enjoy wearing boy-ish items?? 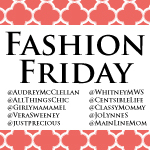 I'm linking up today with some other fabulous women on Fashion Fridays! I really need to add a blazer to my fall wardrobe! Love these ideas. I don't usually wear boyish items but I like the idea of combining feminine and boyish - like a ruffled blouse under a structured blazer. FUN! I LOVE blazers. 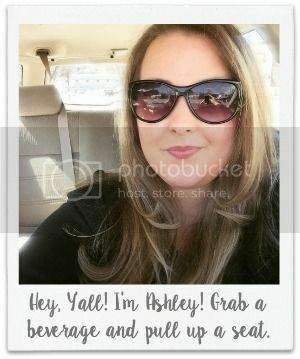 They are such an easy way to up the awesome of an outfit!